The second season of Outlander returned to the location of the fictitious Craigh na Dun this week. It was reported that they filmed there Wednesday through Friday this week. The stones are still set up as of yesterday, so if you are a local or are there right now on vacation, it may be worth your while to go see it. You cannot get close to the (fake) stones, but it is still pretty great to see them set up for filming. The site overlooks Rannoch Moor (Thanks, Mandy!). 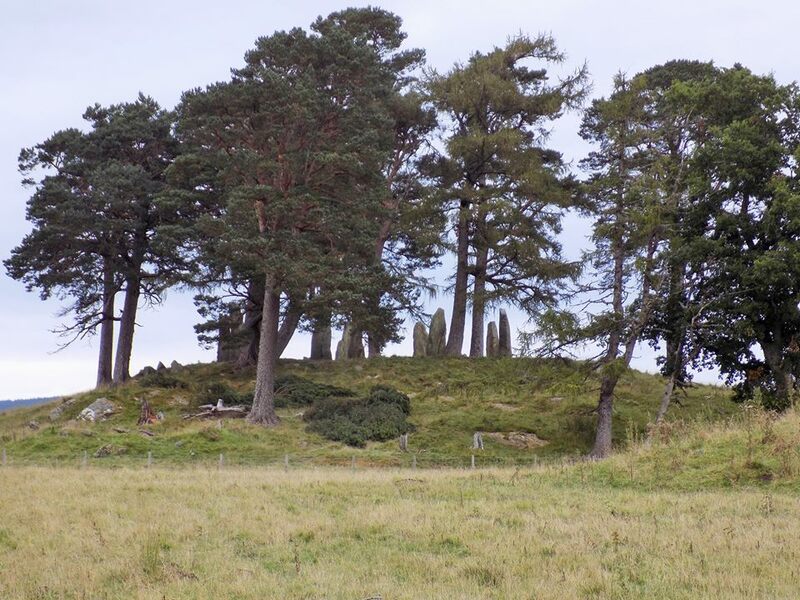 Imagine the joy and delight experienced when pulling up at the site of Craigh na Dun – only to find that filming was about to start, and the Stones were in place! Filming was Wednesday to Friday this week, and our little band felt very privileged to be in on that particular secret! @OutlanderTVNews filming had finished, road block lifted but set was still there. No actors or crew unfortunately. Update (Thanks, Connie! ): Caitriona Balfe posted an Instagram photo from this location two days ago. This entry was posted in Caitriona Balfe, Production News, Production Photos and tagged Behind the Scenes Photos, Caitriona Balfe, Craigh na Dun by Sarah Ksiazek. Bookmark the permalink.